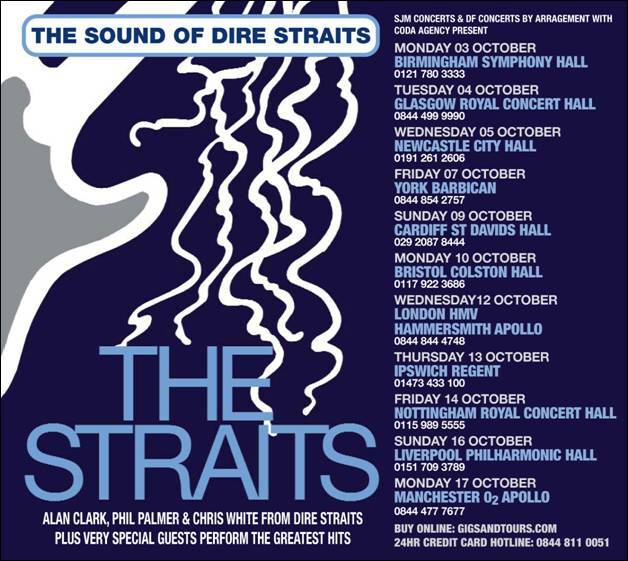 Following their recent stunning debut show at the Royal Albert Hall in May 2011, Alan Clark, Phil Palmer and Chris White from Dire Straits will embark on an 11-date UK tour in October due to the overwhelming demand to hear the band’s much loved catalogue of unforgettable songs. 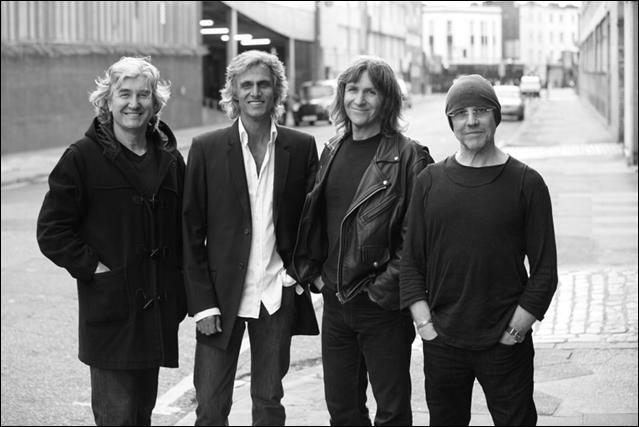 The Straits includes three original members and some of the top session players to form a powerful, driven, and compelling live rock band not to be missed. The band will perform songs from the classic albums Dire Straits (1978), Communiqué (1979), Making Movies (1980), Love Over Gold (1982), Brothers In Arms (1985) and On Every Street (1991). 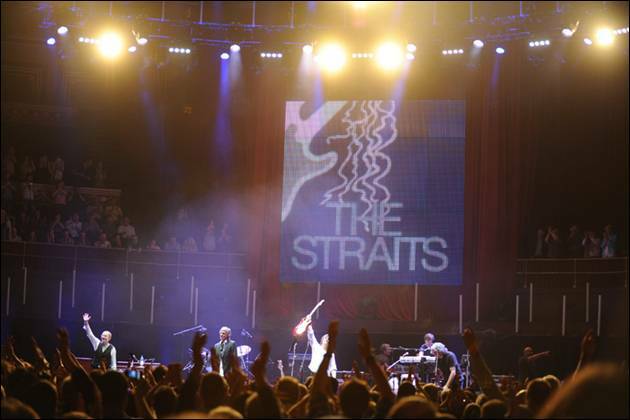 Experience the unforgettable hits - Sultans of Swing, Romeo and Juliet, Tunnel of Love, Private Investigations, Money for Nothing, Walk of Life, So Far Away and Brothers in Arms. 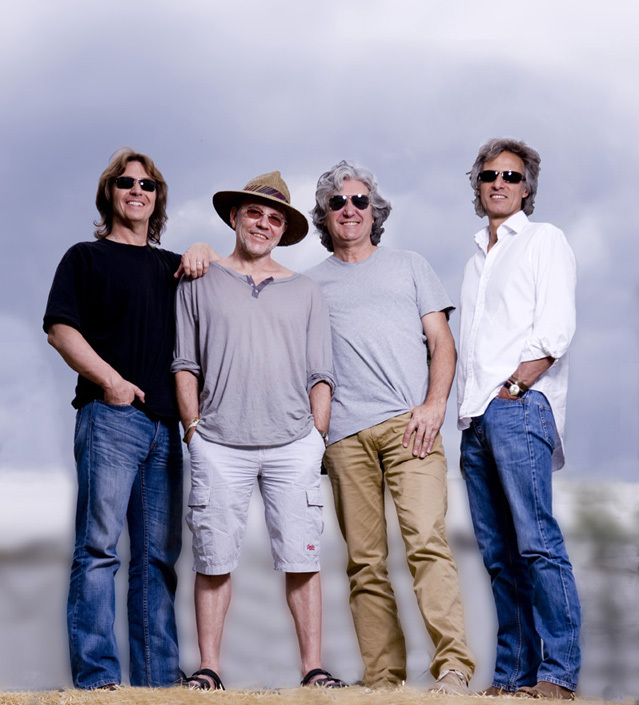 Phil joined Dire Straits for their On Every Street tour, having come to their attention after quietly and consistently building a career out of playing tasteful, intelligent and musical guitar with a long list of well known artists that includes Eric Clapton, Bob Dylan, Sting, Roger Daltry, Take That, Wishbone Ash and producer Trevor Horn. As a result, Phil is regarded as one of the UK’s foremost session musicians. Chris White's first real break in the music industry came in 1981 when he was asked to play on Nick Heyward's album "North of a Miracle". Following this success, his reputation continued to build. 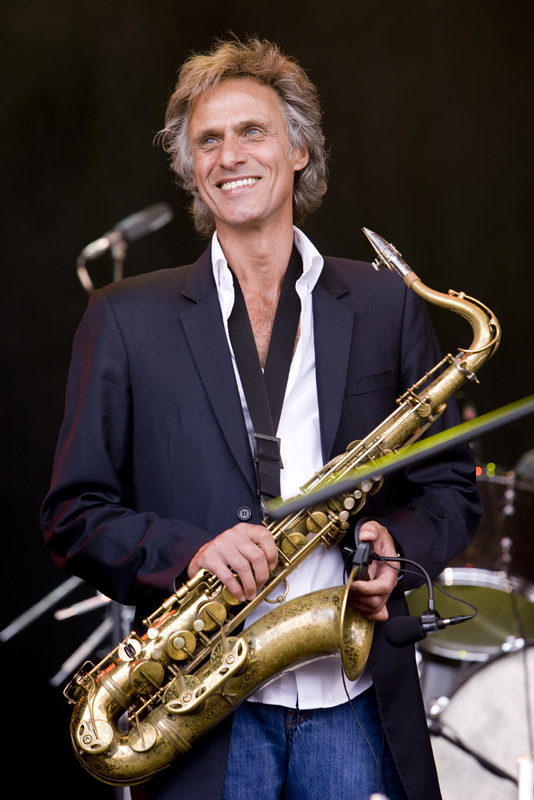 He was asked to play and record with artists such as Paul McCartney, Aztec Camera, The The and Mark Knopfler, the latter leading to what he is best known for - the saxophone sound of Dire Straits. His work with the band included two World Tours, the "On Every Street" and "On The Night" albums, and the legendary "Live Aid" and "Mandela" concerts. More recently, Chris has performed on two of Mark Knopfler's solo albums. Outside of this association, he has recorded and toured with many artists, including Joe Cocker and Robbie Williams. He is currently also working on material for his second album of original work. Acknowledged by his peers as one of the world’s greatest drummers, Steve first came to the world’s attention with The Average White Band and has since played with a long list of high profile acts including Tom Petty and the Heartbreakers, Eric Clapton, Quincy Jones, Scritti Politti, Chaka Khan and Slash. Steve endorses Gretsch drums, Sabian cymbals and Pro-Mark drumsticks. Born in Maputo, Mozambique, Terence grew up playing the guitar in the idiosyncratic style of the local finger picking street musicians, which is remarkably similar to that of Mark Knopfler. It was his voice that made him the perfect front man for The Straits, which has elements of Knopfler, JJ Cale and Steve Earle mixed in with his own unmistakable, original sound. An honours graduate at the University of the Witwatersrand School of Dramatic Arts in Johannesburg, Reis is also an award-winning actor and has starred in several major films while continuing a parallel career as a musician. Mick is an internationally renowned bassist who began his career as session bassist for Island Records, and has since gone on to work with many artists including Mark Knopfler, Art Garfunkel, David Gilmour, Van Morrison, Tina Turner and Justin Haywood. A master of most string bass instruments, Mick is also a respected composer and singer. As well as being a fine keyboard player, 24 year-old Jamie is a highly talented multi-instrumentalist and singer, destined to become a star in his own right, having recently signed a recording contract with I.M.Port Records. Jamie is an enthusiastic and ambitious young man who is considered a major asset to the band.